Steven currently holds the title of Vice President, Commercial Relationship Manager for BB&T where he has been working since 2008. 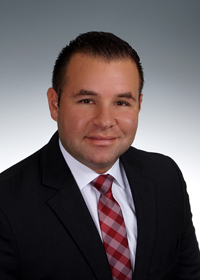 Steven is responsible for managing all banking needs for commercial & middle market companies located in Palm Beach County. Steven began his banking career in 2005 and has held various positions within the community bank. Steven has served on numerous non-profit boards throughout his career and is currently appointed Chair for Kids Connected by Design Inc and Healthy Start Coalition of St Lucie County Board of Directors. Steven was born and raised in San Juan, Puerto Rico. His family relocated to Broward County in 1991 and then again to St Lucie County in 1998. Steven attended Indian River State College and received his Associates Degree in 2002. Steven currently lives in Port St Lucie with his wife Jamie and their 15 month old son Cameron.